Our topic today is a peculiar phenomenon, rather like a wildflower that grows only at the mid-altitudes of the southeastern slopes of steep hills in chalky soil in some exotic region yonder. It’s also an example of how good a sailing class can be. I’ll try to explain the Knarr by telling you that it’s not about buying a boat, it’s about buying into a way of life. Not because the boats are fast. They’re not. Much less comfortable. Or even because they’re pretty, which they are. No, they are loved. If this fleet could bottle and sell the secret sauce that binds and inspires its people, every fleet everywhere would pony up to buy some. We’re talking loyalty. The KnarrI hear most of you asking, Knarr? Knarr? WTF? 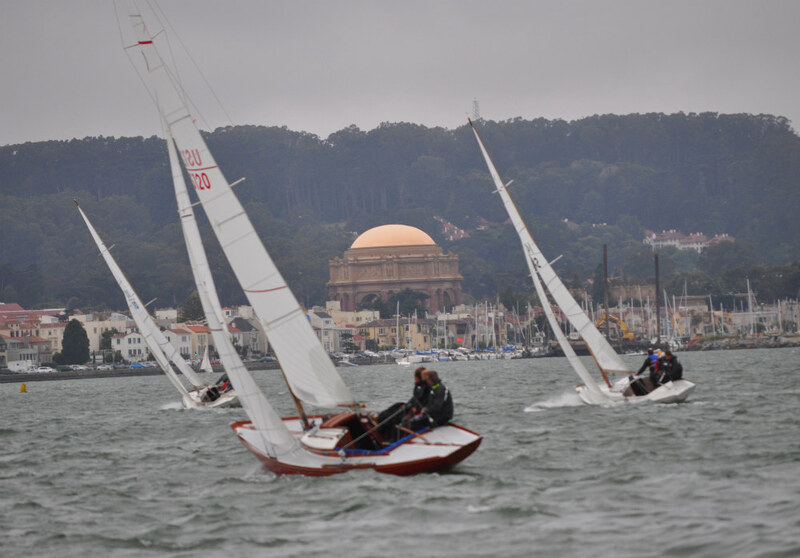 The 42nd International Knarr Championship continues tomorrow on San Francisco Bayis actively raced in only three places: Norway, Denmark and San Francisco Bay. But when I say actively, the accent is on active. 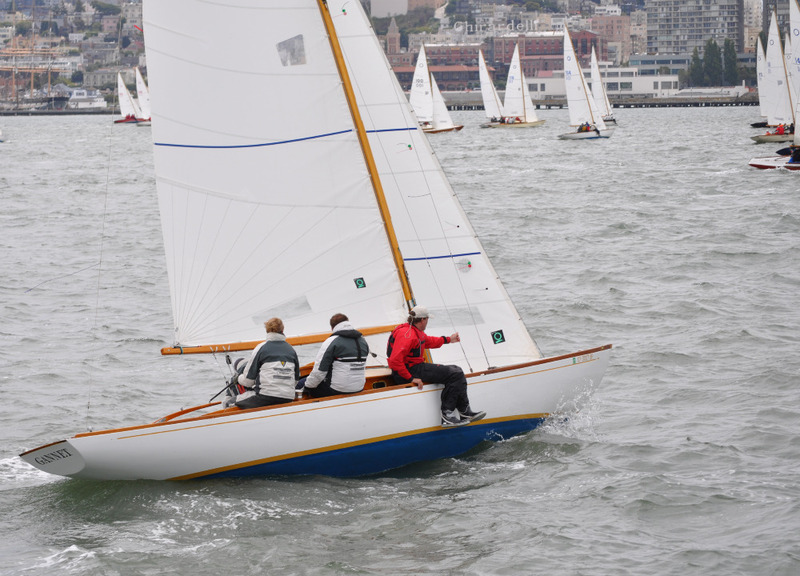 Some high-level, professional-level talents race these boats, but not to improve their careers. More than one hotdog has dropped in, expecting to make a killing, and discovered that it just is not easy. The irony, and the beauty, is that if you get to the top of the Knarr fleet, the world couldn’t care less. But, if you sail Knarrs (in the Oslofjorden they pronounce the “K”) you are family, and it is just possible that in these times, family has value that trumps celebrity. The International Knarr Championship rotates among the three Knarr homes. You qualify out of your local fleet, and when you arrive at the regatta you are a guest at your own party, hosted, housed and feted. When the IKC comes to your town, you return the favor. 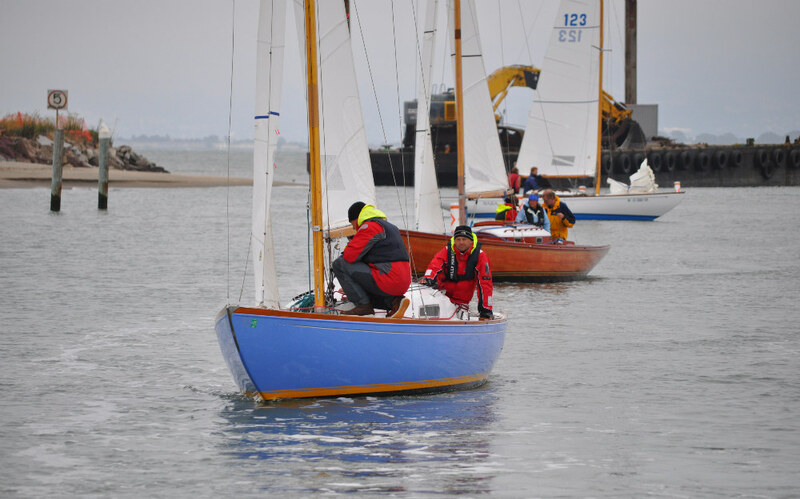 Boats are provided out of the local fleet, by draw. The rule applies to locals, too, and nobody gets to sail a boat they own. It is quite the way to make friends in faraway harbors and really experience a place. Nobody ever leaves this fleet. Somebody might sell a boat and not buy another. They might sail in other fleets, but they’ll always be back as crew. They’ll show for the parties. They’re not “gone.” I guess the message is, yes, such things are possible. Along with developing one single, solitary but vigorous U.S. fleet (there are a few Knarrs scattered around the U.S.), the leaders in the class over time moved to allow boats to be made of fiberglass, with the weight and weight distribution spec’d to keep performance characteristics the same. It worked. Choose wood or glass to suit your preference, but not because one or the other will make you a winner. Their search led them to Erling Kristofersen, a designer who had a knack for inexpensive but fast boats. He drew up plans for a 30-footer. Among Kristofersen’s innovative techniques was building the boat upside down on a last, as a cobbler would make a shoe . . . known originally as a “Last Boat” it was later renamed Knarr after a Viking cargo boat. The prototype was built in a little shack in the woods. Native pine was readily available, but oak and mahogany had to be scavenged or hauled across the border from neutral Sweden. When the occupying authorities got wind of the project, they declared that the boat’s construction could continue only if they got use of the boat upon completion. After launching and sailing the prototype in the summer of 1944, the owners declared it to be “unseaworthy” and in need of changes. Another boat was started in the winter of 1944/45. Curiously, by the time the builders had satisfied themselves that the boat was safe, the occupation had ended. San Francisco native Jon Perkins, already a two-time IKC champion, has won two of four races sailed so far and carries an eight-point lead into Thursday’s two races. In second and third are two more past champions of the class, Soren Pehrsson of Denmark with sixteen points and Jon’s brother, Chris Perkins, with eighteen points. It’s another thirteen points to fourth place, so there you have your separation. Racing continues through Saturday. Updates at St. Francis YC. Zbigniew ‘Gutek’ Gutkowski has moved one step closer to his goal of becoming the first Polish person to race solo around the world after getting his hands on an Eco 60 yacht for the Velux 5 Oceans. Gutek, one of Poland’s best known and most experienced sailors, has spent several months carefully choosing the right boat to take him 30,000 nautical miles around the world in The Ultimate Solo Challenge. Gutek has settled on Globe, formerly Bagages Superior, one of the most proven Eco 60s on the market. The yacht is a former Vendée Globe winner – in 1991 French solo sailing legend and VELUX 5 OCEANS veteran Alain Gautier steered her to glory. Four years later she returned to the Vendée Globe with Eric Dumont, just missing out on a podium place to finish fourth. Globe is also a veteran of three Transat Jacques Vabre races. In 2000 Globe was rebuilt and five years later she was given a complete overhaul, putting her back at the front line of modern racing yachts. The next step in Gutek’s voyage to the start of the race in La Rochelle, France, on October 17 is to set sail on a qualifying passage. Having taken delivery of the yacht earlier this week, Gutek and his Polish Ocean Racing team are now preparing Globe for her first offshore voyage under his command. No stranger to ocean racing, Gutek was a watch captain onboard WARTA-POLPHARMA in The Race, the non-stop race around the world for multihulls. In 2005 he skippered the ORMA 60 Bonduelle in the Nokia Oops Cup. He also attempted to break the monohull record for a non-stop circumnavigation onboard the Volvo 60 Bank BPH (formerly ASSA ABLOY), but damage forced the crew to Cape Town after 9,500 miles. The VELUX 5 OCEANS, run by Clipper Ventures PLC, is the longest running solo round the world race, and has 28 years of rich heritage as the BOC Challenge and then the Around Alone. 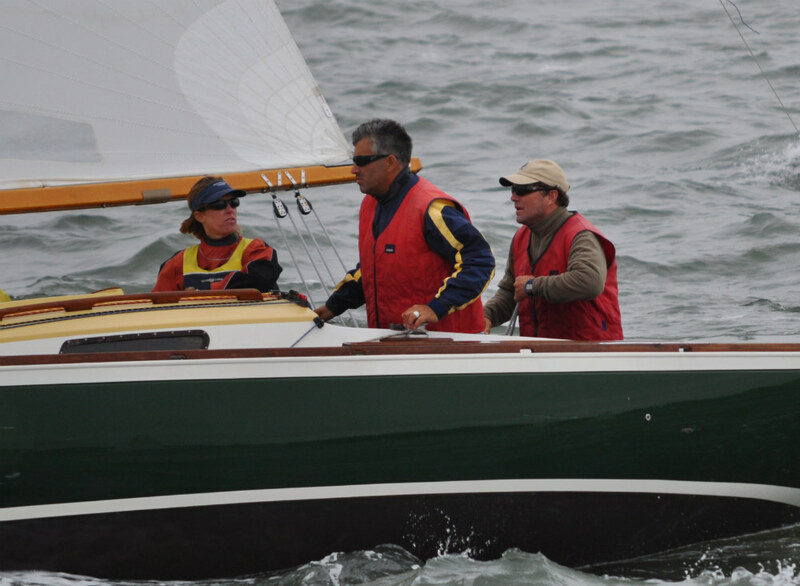 This edition features five ocean sprints over nine months. 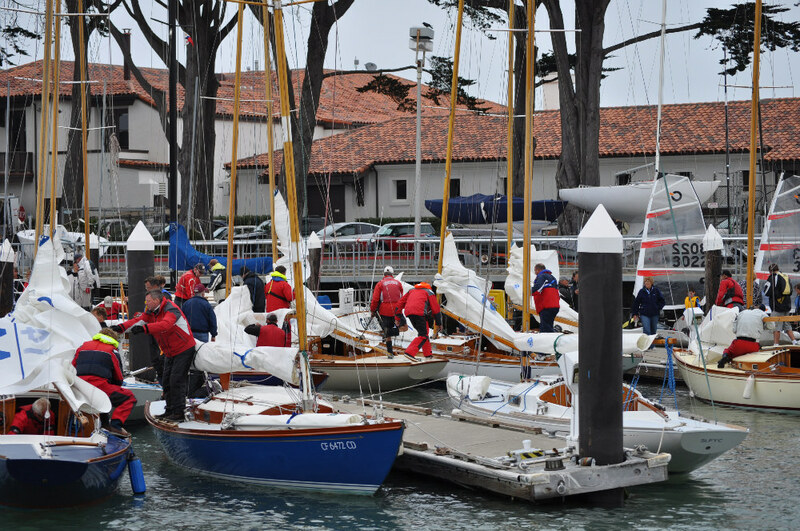 After heading from La Rochelle to Cape Town, the race will then take in Wellington in New Zealand, Salvador in Brazil and Charleston in the US before returning back across the Atlantic to France.